Most of the people are not aware of the investment required in starting a medical marijuana dispensary. Opening a dispensary in California exposes a person to face a multitude of money investment challenges. How does a person decide to open a dispensary within a restricted budget? The cost-benefit analysis and calculation of the amount of capital investment should be estimated before opening a dispensary in California. At the same time, number of employees, purchase and productivity of premises of dispensary, licensing, machinery etc – all expenditures should be managed. 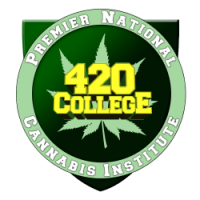 In this regard, you can find quality information by visiting 420 College and clarifying all your confusions in a reasonable manner.